Seems especially appropriate on 9/11. In remembrance and respect (and gratitude, that my Dad came home when others didn’t). 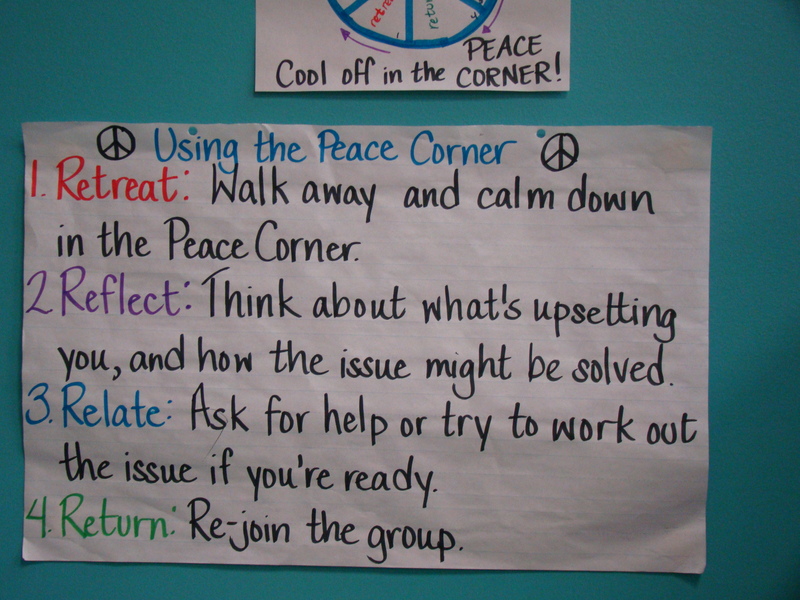 As part of my overall community-building approach, I established a Peace Corner in my fifth grade class to give kids a safe, legitimate way to remove themselves from the rest of the classroom when they were having emotional difficulties or conflicts. I taught them the 4 R’s (Retreat, Reflect, Relate, Return) as a way of modeling one way to deal with overwhelming emotions, and to mitigate against the temptation to use the space as a way to get out of doing work (which, to all of our credit, never happened!). My hope is that they continue to use the strategy in the future. I know from a few parent conversations that at least some students used it at home (yay, teaching for transfer!). 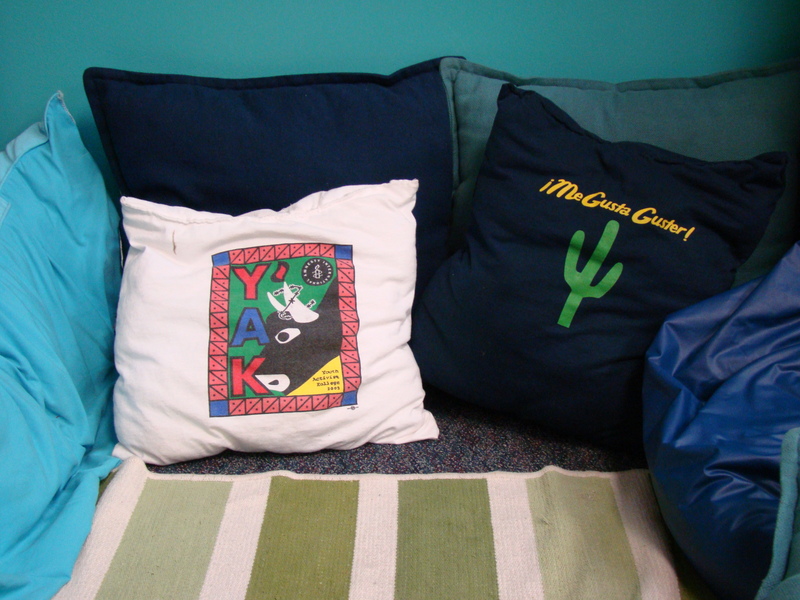 I made some of the pillows myself out of old t-shirts, as one way of showing how much I care for them and our environment. That triggered a wonderful ongoing discussion and classroom project around reusing and upcycling things to save energy and eliminate trash. Their generation will have to contend with the stresses of declining natural resources and potential conflict over them. 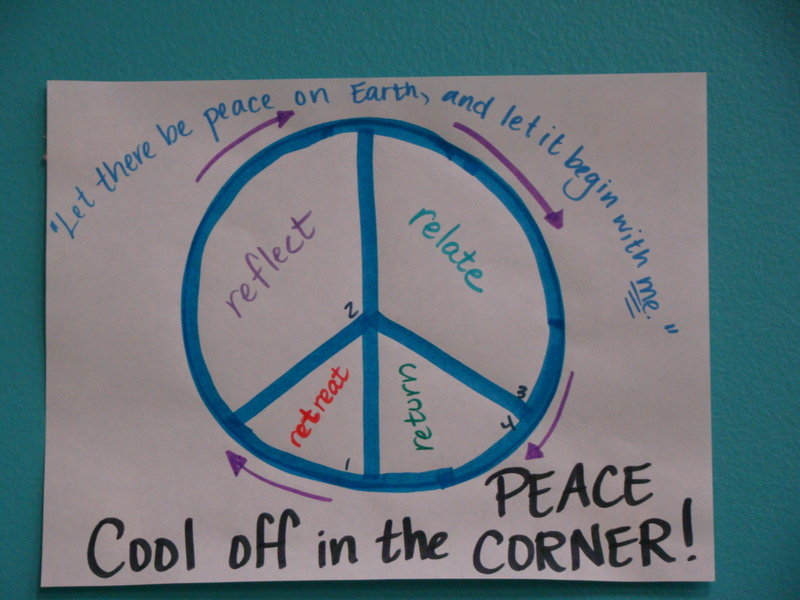 I believe the Peace Corner offered some important lessons they might need in the future. Love your peace symbol and how each segment is broken down. I am a high school dean and would like your permission to use model for my students. Thank you so very much. 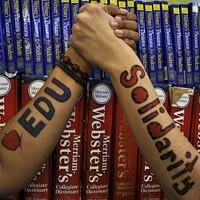 Have a wonderful school year! Peace corners should be a required feature of all buildings everywhere!!! Yours looks so. inviting. I would be tempted to use it to take a nap.